Boy: Give me something to eat right now. Girl: I have nothing to eat right now. Boy: Isn’t there anything to eat in the fridge? 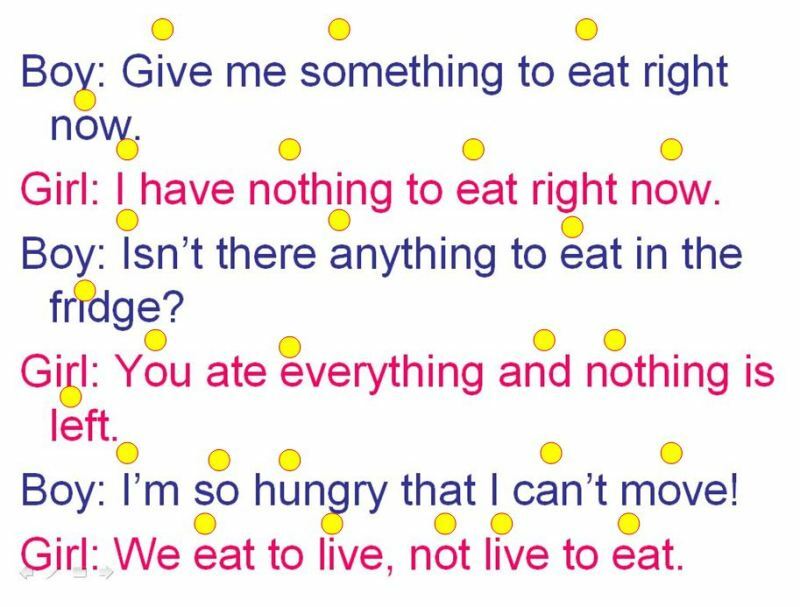 Girl: You ate everything and nothing is left. Boy: I’m so hungry that I can’t move! Girl: We eat to live, not live to eat. 朝鮮半島を見れば日本がわかる ! 한반도를 보면 일본이 보인다 !